Arch Angle custom, hand-crafted, thin frame storm windows are designed to be nearly invisible. Thin, understated frames blend rather than distract and protrude into the beauty and design of the architecture they are meant to protect. They can be make to complement almost any style of architecture. 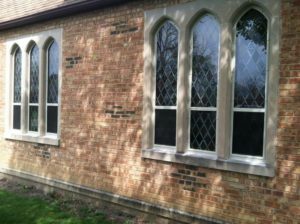 Many of our custom storm windows are already protecting the irreplaceable stained glass in small churches and other houses of worship. 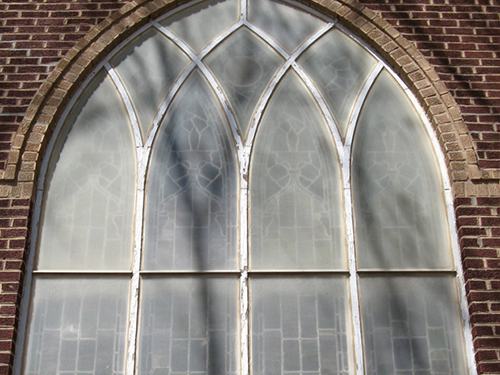 Protecting the unique heritage of small churches is our specialty and a service that Arch Angle is proud to offer. Most, of our thin frame storms are made with a master frame and outside removable glass and/ or screen panels; but they can be made inside removable or fixed as well. 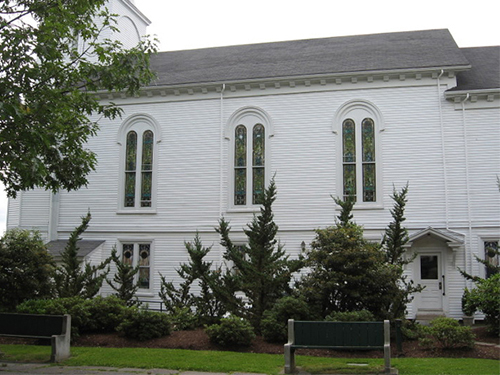 Beside their pleasing, understated aesthetics, they are designed to decrease noise and increase heating and cooling efficiency by creating a cushion of insulating air space between the primary window and the storm. 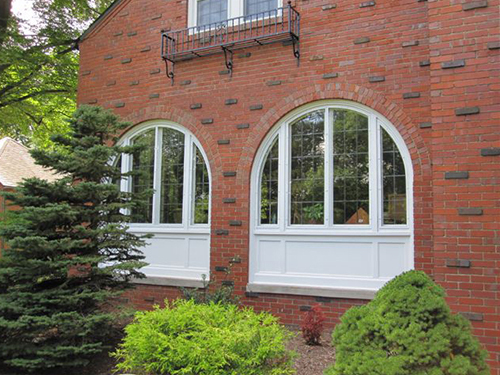 Our individually hand crafted sturdy extruded aluminum frames are designed to last decades. Each is painted with a sturdy polyester powder coat finish after being pretreated in a chemical five stage process that allows the final finish to resist fading, chipping and scratching. 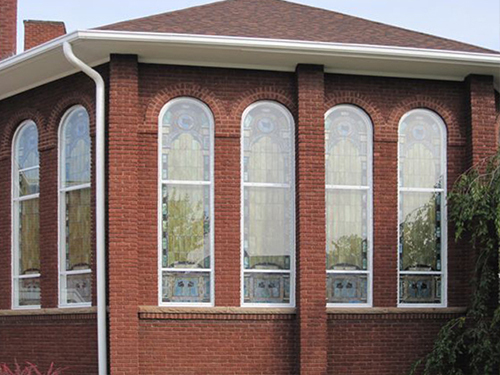 Arch Angle storm windows are glazed with 1/8” double strength clear glass but additional glazing options are available: tempered, low E , polycarbonate, obscure and tinted. Standard screen inserts are of 20X20 high grade charcoal fiberglass mesh. Double-track storms can also be hand crafted for special shape windows. They are designed to have a stationary top with a movable bottom screen panel. Master frame with outside removable glass and screen inserts. 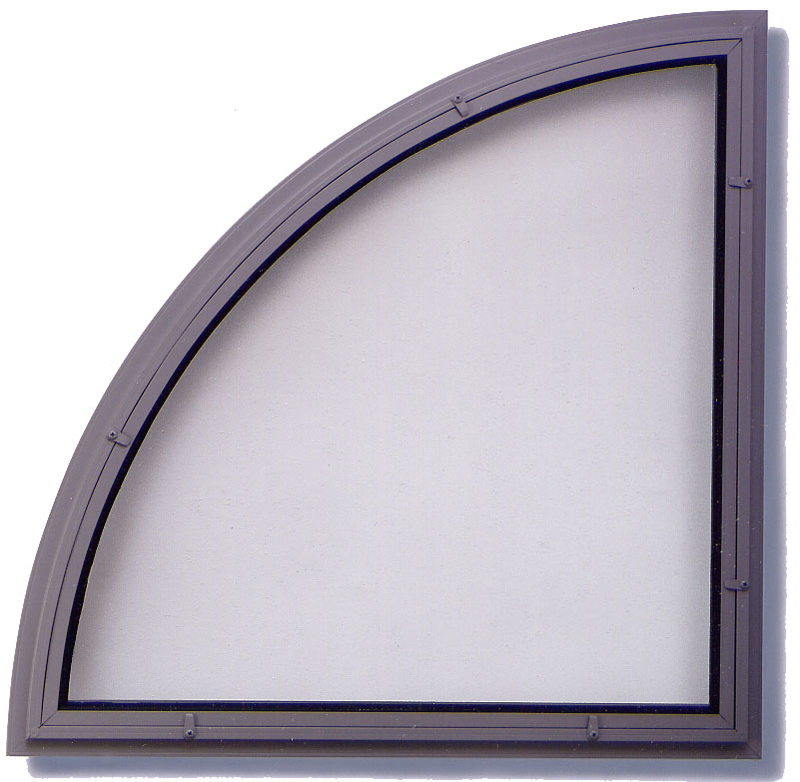 Arch Angle storm windows are available in nine popular industry colors with matching stainless steel installation screws. 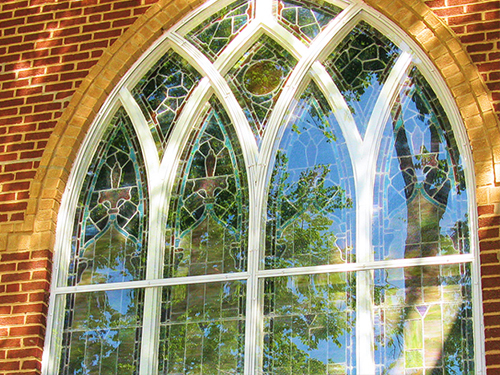 Click here to see the color options available. They are a choice of quality.